The standard of quality. Our blades are finely ground for superior performance. 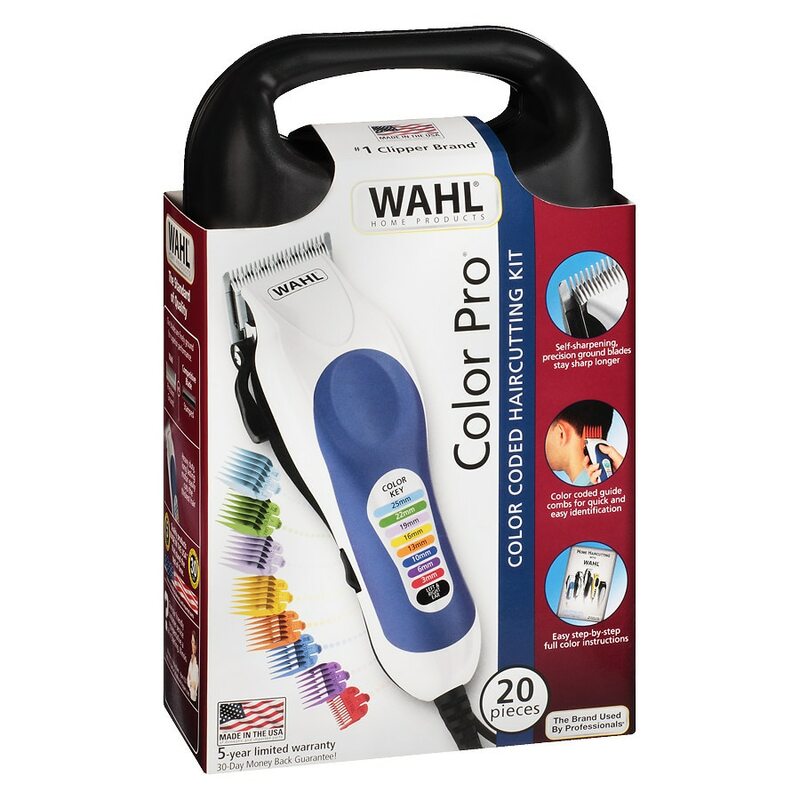 Wahl-precision ground. Competitive blade-stamped. Includes: Multi-cut clipper; clipper blade guard; twelve guide combs: No. 1/2 - 1/16" (1.5 mm) - light green, No. 1 - 1/8" (3 mm) - red, No. 2 - 1/4" (6 mm) - purple, No 3 - 3/8" (10 mm) - dark blue, No. 4 - 1/2" (13 mm) - orange, No. 5 - 5/8" (16 mm) - yellow, No. 6 - 3/4" (19 mm) - lavender, No. 7 - 7/8" (22 mm) - green, No 8 - 1" (25 mm) - light blue; left ear taper; right ear taper; ear trim guide; storage case; barber comb; styling comb; scissors; cleaning blush; blade oil; English & Spanish instructions/styling guide. Self-sharpening, precision ground high-carbon steel blades stay sharp longer. Remember your perfect cut every time with color coded guide combs. Longer lengths guide combs #6-8, medium lengths guide comb #4-5, shorter lengths guide combs # 1-3. Color coded keys make it easy to correspond the correct comb to the right setting. Heavy duty, long lasting motor easily cuts the thickest hair. Product in package may not be the same as photo due to continuous improvements to the product. *Based on North American dollar sales. This product is not intended for professional use; warranty void if used commercially.